Vaccination against influenza has never been a guaranteed safeguard against the disease; however, recent figures may show the efficacy of some vaccines may be on the decline. Figures from the Centres for Disease Control and prevention (CDC) indicate a 50 to 60 percent rate of protection as an average of the population against most forms of the flu. Recently studies have shown declining rates of efficacy. This years estimate by the CDC put the effectiveness of this years flu vaccine at 48 percent. Notably in recent years the development of quadrivalent vaccines such as the Afluria vaccine produced by Seqirus have expanded coverage to more strains of the flu in a given season. The influenza virus remains an issue globally, prominent even in developed nations and is a key risk particularly in elderly populations. Estimated to cause severe infections in 3 to 5 million people annually, and responsible for around 250,000 to 500,000 deaths a year, the flu is still a clear threat, notably for those over the age of 65. A hurdle to truly understanding the declining figures is the media’s eagerness to seize these figures and immediately call out that vaccines do not work. Overly simplified or anecdotal accounts that vaccines actually make people sick are abundant. Cherry picked data is often widely used. The reality is to understand the reasons for fluctuating efficacy, there are a number of factors that must be taken into account. 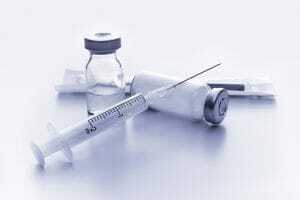 Vaccine efficacy over the course of the flu season was suggested to decline in a recent study published in Clinical Infectious Diseases. Vaccine effectiveness (VE) was demonstrated to drop to suboptimal levels by the end of the flu season. The implication of this is that while protection is given at the start of the season, a person may be equally as prone to the virus at the end of the season as an unvaccinated person. Worth noting is that the US begins vaccination much earlier than many other countries, and so if this study is to believed, vaccine coverage may not extend over the duration of the flu season. The rate of decline of VE varied depending on flu strain. The decline was noted as 7% per month for influenza A(H3N2) and influenza B and 6%–11% per month for influenza A(H1N1)pdm09. The overall period of protection remained above a zero percent threshold for six months, this is typically enough to cover an entire flu season, albeit at a declining VE. People who have the flu shot every year may be better protected. In this case a person who has been vaccinated with a previous season’s flu vaccine may still harbour some immunity to the strains of flu vaccinated against, and their immune system is therefore faster to respond. This acquired immunity results from lymphocyte activity following an infection. Lymphocytes, specifically B-cells, can mature into “memory cells” following an infection, this memory cell can recognise antigens specific to the infection and produce antibodies to help combat recurrent infections. This is the principle behind the concept of vaccination. Studies show conflicting results on the benefits of repeat vaccination. Some studies have found that the protective effects of a repeat vaccination are not as pronounced as the initial vaccination. Arguably, the benefits are still worthwhile, as short term immune response still occurs in addition to the residual immunity cited by other studies. Another factor to consider when assessing yearly VE is the strains of flu that are present. 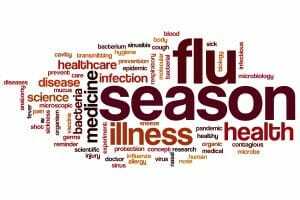 The vaccine provided at the start of the flu season will typically alter on a yearly basis, this is due to the many different strains of flu that could potentially be present on that given year. As a result the vaccination strategy is entirely reactionary, using a vaccine that best fits that year’s situation. The vaccines circulating on a given year are decided by two meetings (one each for northern and southern hemisphere) conducted yearly by the World Health Organization. The meetings involve a consultation with the Directors of the WHO Collaborating Centers, essential regulatory laboratories and representatives of key national laboratories and academies. Data regarding surveillance and clinical studies are used to establish which vaccines should be used. This also opens up the possibility of yearly fluctuations of VE that naturally occur dependant on present strains. Alongside this there is a potential for significant reductions in the coverage of a vaccine if, for example, a trivalent, or even tetravalent vaccine (covering against 3 and 4 strains respectively) do not cover against an additional strain present that year. Vaccinating against the flu has always, and will always be an uphill battle. Existing flu strains can give rise to entirely new, or slightly deviated strains due to mutation. Antigenic drift is the primary reason why a single vaccine will not remain effective for more than a few seasons at most. Mutations occur in all cells, human, animal, and viral. However, as an RNA virus (single strand of DNA), the flu does not have the capability to self correct any mutations that occur to its genetic code. Mutations without self correction result in the genome of the virus being unstable. Due to this, antigens on the surface of the virus are prone to slight changes, meaning prior antibodies developed against the virus may not recognise the mutated strain, negating any previously gained immunity. Antigenic drift is typically a long term process. Genetic recombination however is a far more rapid process. It occurs when two strains of the flu co-infect the same cell, as they replicate in close proximity a transfer of genetic material may take place. This transfer can allow for the swapping of large strands of RNA containing multiple genes. This, in theory, could allow for a high-mortality strain of the flu to pass on genes responsible for its mortality rate, to a strain of flu that is more easily transmissible. This proves for a more daunting concept that could see to the creation of strains of flu similar in impact to the outbreak of Spanish flu during the early 20th century. What is seen in the media often does not accurately represent current research. This is particularly true in recent years as people buying into the anti-vaccination movement have become increasingly vocal. The shift in dominance from traditional media forms to social media has given a voice to many who would not have previously had a public platform. This comes with pros and cons, the benefits of myriad, information is shared on a scale never before seen, on the negative side, misinformation can become viral just as often as genuine information, and scare stories sell well. Critical thought is a necessity when browsing information on vaccines, many websites present reasonable arguments for each side, some link back to Dr Andrew Wakefield. Any references to his disproven and disreputed study should raise a red flag, cited by the likes of Alex Jones and others convinced there is a government conspiracy to subdue us all through vaccination. Anti-vaccination arguments cease to be reasonable or grounded in truth at the reference of Wakefield’s work. His work was proven false, unethical, and paid for by lawyers attempting to bring lawsuits against companies producing vaccines. The study lost him his medical license. Reading the original sources and scientific studies themselves is by far the most enlightening option. Are vaccines still the best option? Despite the varying levels of efficacy, largely based on the strains present in a given year, medical professionals seem to agree that vaccination against the flu is the best option currently available. This summary also encapsulates the medical side of the vaccination argument, that it is a worthwhile cause to issue the vaccine to at least reduce the number of fatalities. Others may argue that at 34 percent, this level of efficacy would not be considered an accepted threshold value for other medications and vaccines. However, even at only 34 percent efficacy the costs to vaccinate is far lower than the potential costs of those people requiring hospital treatment, and so can be considered cost effective. Though the vaccine is not a guarantee of protection, it is the best option currently available against an unpredictable, and rapidly changing disease.